Software Engineering. Ian's research interests are in formal methods for software development, particularly for concurrent and real-time systems. 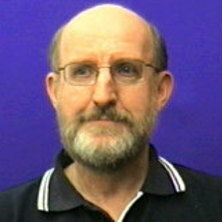 He is currently the head of the Systems and Software Engineering Research Group. Colvin, Rob, Hayes, Ian and Strooper, Paul (1999) Refining logic programs using types and invariants. SVRC Technical Report 99-25, Software Verification Research Centre, School of Information Technology and Electrical Engineering, The University of Queensland. Hayes, Ian, Fidge, Colin and Lermer, Karl (1999) Semantic identification of dead control-flow paths. SVRC Technical Report 99-32, Software Verification Research Centre, School of Information Technology and Electrical Engineering, The University of Queensland. Fidge, C. J., Hayes, I. J., Mahony, B. P. and Wabenhorst, A. K. (1999) Real-time specification and reasoning using maximal intervals. SVRC Technical Report 99-29, Software Verification Research Centre, School of Information Technology, The University of Queensland. Smith, Graeme and Hayes, Ian (1999) Towards real-time object-Z. Technical Report SSE 99-10, Division of Systems and Software Engineering Research, School of Information Technology and Electrical Engineering, The University of Queensland. Fidge, Colin. J., Hayes, Ian. J. and Mahony, B. P. (1998) Defining Differentiation and Integration in Z. SVRC Technical Report 98-09, Software Verification Research Centre, School of Information Technology, The University of Queensland. Jones, C. B., Hayes, I. J. and Jackson, M. A. (2007). Deriving specifications for systems that are connected to the physical world. In Jones, C. B., Liu, Z. and Woodcock, J. (Ed. ), Formal Methods and Hybrid Real-Time Systems (pp. 364-390) Berlin, Germany: Springer-Verlag. Colvin, Robert, Groves, Lindsay, Hayes, Ian J., Hemer, David, Nickson, Ray and Strooper, Paul (2004). Developing logic programs from specifications using stepwise refinement. In Maurice Bruynooghe and Kunk-Kiu Lau (Ed. ), Program Development in Computational Logic (pp. 66-89) Berlin: Springer Verlag. Hayes, I. J. (2003). A predicative semantics for real-time refinement. In A. McIver and C. Morgan (Ed. ), Programming Methodology 1 ed. (pp. 109-133) New York: Springer Verlag. Hayes, I. J. and Jones, C. B. (1999). Specifications are not (necessarily) executable. In J. P. Bowen and M. G. Hinchey (Ed. ), High-integrity system specification and design (pp. 563-581) London: Springer. Some remarks on "Ambiguous Machine Architecture"
Dongol, Brijesh, Derrick, John and Hayes, Ian J. (2012). Fractional permissions and non-deterministic evaluators in interval temporal logic. In: Gerald Luettgen and Stephan Merz, Automated Verification of Critical Systems 2012. 12th International Workshop on Automated Verification of Critical Systems (AVoCS 2012), Bamberg, Germany, (1-15). 18–20 September 2012. Meinicke, L. A. and Hayes, I. J. (2006). Continuous action system refinement. In: Tarmo Uustalu, Mathematics of Program Construction. 8th International Conference on Mathematics of Program Construction (MPC 2006), Kuressaare, Estonia, (316-337). 3-5 July 2006. Glynn, Erica, Hayes, Ian and MacDonald, Anthony (2005). Integration of generic program analysis tools into a software development environment. In: , , (249-258). .
Glynn, Erica, Hayes, Ian and Macdonald, Anthony (2005). Integration of generic program analysis tools into a software development environment. In: V. Estivill-Castro, ACSC '05 Proceedings of the Twenty-eighth Austalasian Conference on Computer Science. Twenty-Eighth Australasian Conference Computer Science, Newcastle, NSW, (249-257). 31 Jan - 3 Feb 2005. Shield, J. and Hayes, I. J. (2002). Refining object-orientated invariants and dynamic constraints. In: P. Strooper and P. Muenchaisri, Asia-Pacific Software Engineering Conference. Ninth Asia-Pacific Software Engineering Conference, The Gold Coast, (52-61). 4-6 December, 2002. Colvin, R., Hayes, I. J., Hemer, D. G. and Strooper, P. A. (2002). Translating refined logic programs to Mercury. In: M. Oudshoorn, Proceedings of the Twenty-Fifth Australasian Computer Science Conference - Computer Science 2002. ACSC 2002, Melbourne, Australia, (33-40). 28 January - 1 February, 2002. Hemer, David, Hayes, Ian and Strooper, Paul (2001). Refinement calculus for logic programming in Isabelle/HOL. In: , , (249-264). .
Shield, J., Hayes, I. J. and Carrington, D. A. (2001). Using theory interpretation to mechanise the reals in a theorem prover. In: C.J Fidge, Proceedings of Computing: The Australian Theory Symposium (CATS2001). CATS2001, Gold Coast, (266-281). 29 January-1 February, 2001. Fidge, C. J., Hayes, I. J., Mahony, B. and Wabenhorst, A. K. (1999). Real-time specification and reasoning using maximal intervals. In: W. C. H. Cheng and A. S. M. Sajeev, 6th Australasian Conference on Parallel and Real-Time Systems. PART '99, Melbourne, Australia, (344-354). 29 Nov - 1 Dec 1999. Colvin, R., Hayes, I. J. and Strooper, P. (1998). Data refining logic programs. In: Jim Grundy, Martin Schwenke and Trevor Vickers, Proceedings of IRW/FMP. International Refinement Workshop and Formal Methods Pacific '98, Canberra, Australia, (100-116). 29 September - 2 October, 1998. Colvin, R., Hayes, I., Nickson, R. and Strooper, P. (1997). A tool for logic program refinement (Extended abstract). In: Groves, L and Reeves, S, Formal Methods Pacific Conference 1997. Formal Methods Pacific Conference (FMP 97), Wellington New Zealand, (289-290). 9-11 July 1997. Fidge, C., Utting, M., Kearney, P. and Hayes, I. (1996). Integrating real-time scheduling theory and program refinement. In: FME 1996: Industrial Benefit and Advances in Formal Methods - 3rd International Symposium of Formal Methods Europe, Proceedings. 3rd International Symposium of Formal Methods Europe, FME 1996, Oxford, UK, (327-346). 18-22 March 1996. Bancroft, Peter and Hayes, Ian (1995). A formal semantics for a language with type extension. In: ZUM 1995: The Z Formal Specification Notation - 9th International Conference of Z Users, Proceedings. 9th International Conference of Z Users Meeting, ZUM 1995, Limerick Ireland, (298-314). 7- 9 September 1995. Bakker Paul, Carrington David, Goodchild Andrew, Hayes Ian, Purchase Helen and Strooper Paul (1995). Communicating technologist: an educational challenge. In: Proceedings of the 1995 25th Annual Conference on Frontiers in Education. Part 1 (of 2), Atlanta, GA, USA, (699-702). November 1, 1995-November 4, 1995. Hayes I.J. (1986). Using mathematics to specify software. In: First Australian Software Engineering Conference. Software Engineering: Path to Computer Systems Reliability, Canberra, Aust, (67-71). *. FM2005: Formal Methods (2005) . Edited by J. Fitzgerald,, I. J. Hayes and A. Tarlecki. International Symposium of Formal Methods Europe, 18-22 July 2005, Newcastle, UK. Dongol, Brijesh and Hayes, Ian J. (2011) Reasoning about teleo-reactive programs under parallel composition. Technical Report SSE 2011-01, Division of Systems and Software Engineering Research, School of Information Technology and Electrical Engineering, The University of Queensland. Using decomposition and abstraction to support automatic reasoning about complex combined software and hardware systems.